Finding a good pair of jeans is like finding some kind of holy treasure, because you know you’ll love to wear them time after time! 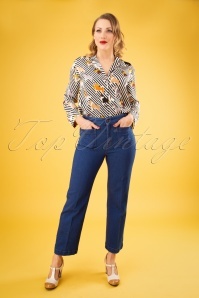 To make it easy for you on your quest to find the perfect pair, we’ve made a selection of the best vintage inspired jeans! 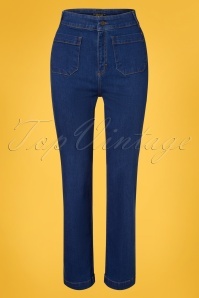 “Blue jeans are the most beautiful things since the gondola.” This is a quote by the famous fashion journalist Diana Vreeland, who lived in the time of the first designer jeans for women. 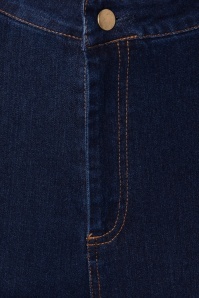 The first pairs of these pants were made for miners and cowboys, but times have changed. 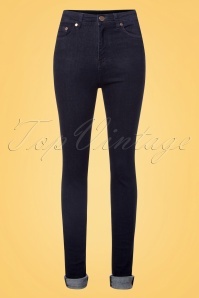 We all know jeans have been a very popular piece of clothing for a long time, and it’s still a must-have for everyone all over the world! 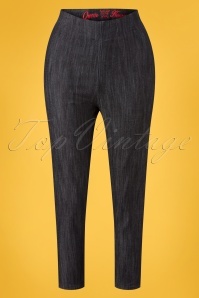 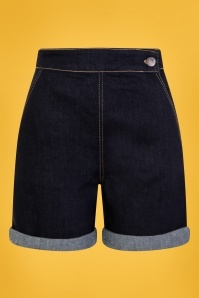 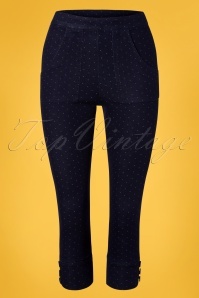 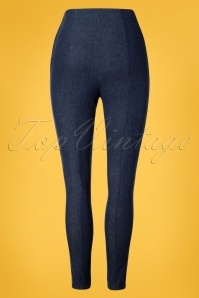 They’re not only a great modern fashion item, they also go very well with a beautiful retro outfit! 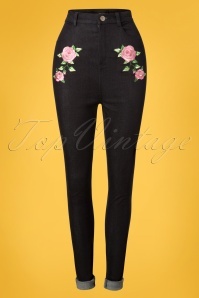 We love how Audrey Hepburn, for example, wore her high-waisted jeans with flats and a tight top; or how Marilyn Monroe wore her loose-fit jeans with a blouse. 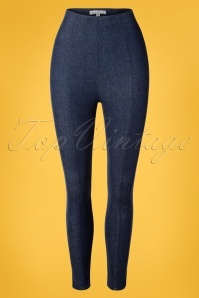 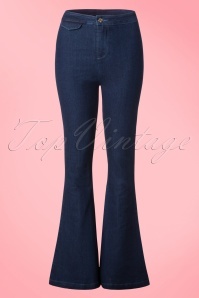 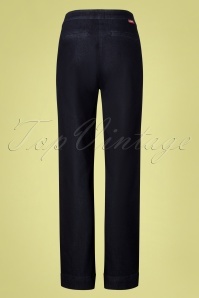 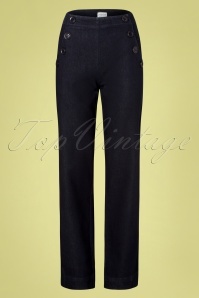 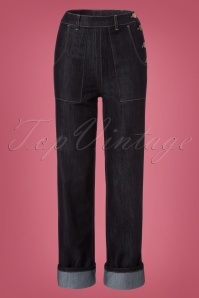 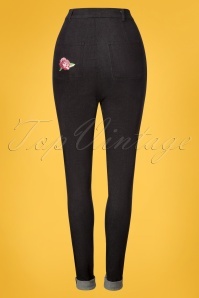 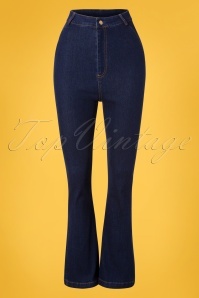 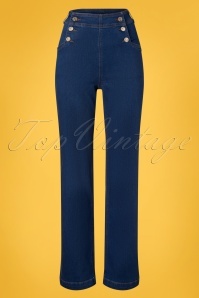 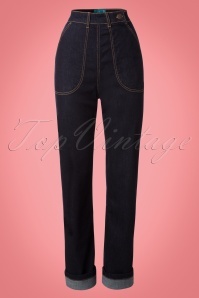 These style icons inspired us to put together this collection of very classy retro jeans in our TopVintage Boutique! 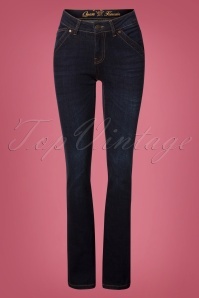 All of these jeans have a great fit that brings out the most elegant woman in you! 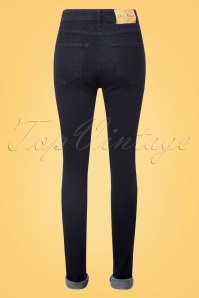 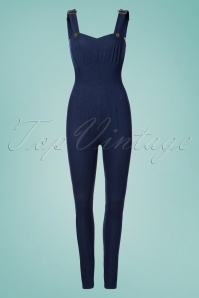 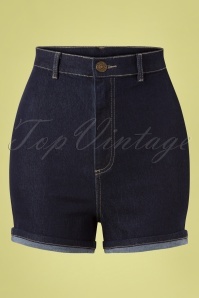 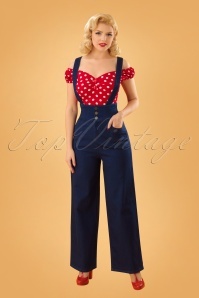 At TopVintage we stand for quality, so the items, by top brands like Collectif Clothing, Tatyana and Glamour Bunny, are designed in the best way and are made out of the best fabrics. 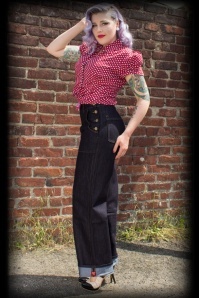 Your new pair of pants will fit perfectly, just the way you like it! 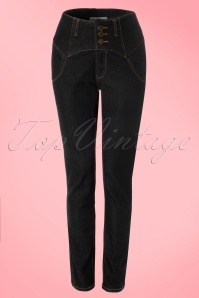 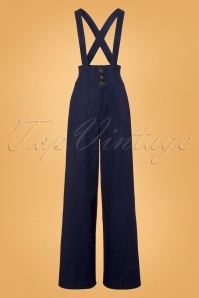 So get your treasure fast and order that gorgeous pair of vintage jeans online! 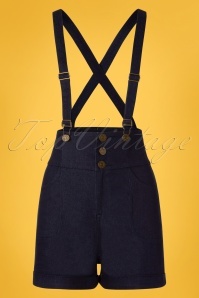 Have you seen any other items that you like? 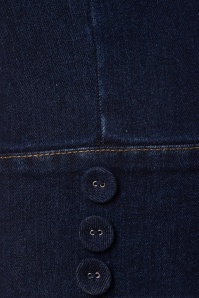 Then we have good news for you: shipping is always free if your order is above €250, no matter where you live!